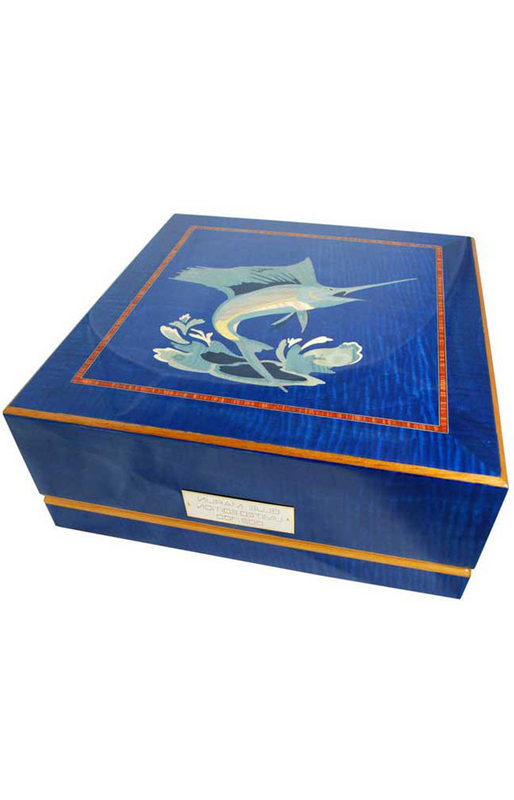 For over 70 years the Italian company Giglio Asla have supplied the highest quality in inlaid wood all over the world. Especially for our Artisan series, they have designed cases both exceptional in quality and appearance which are detailed with intarsia of the classic Salvador Dali work of art known as Danae. Intarsia designs are created with hundreds of tiny pieces of wood, carefully selected, to make each item one of unique beauty and craftsmanship. The particular variety of woods, originating for the most part from Europe and Africa, the drying process, the assembly and varnish processes, all contribute towards the making of exceptional cases. The meticulous puzzle-like assembly of tiny pieces of wood may require up to 25 different wood varieties. Giglio's woods are perfectly dried and the veneering is meticulously selected. The woods comprise ebony, elmwood, maple, poplar, briar, rosewood, vavon and walnut dyed in different colors. Inside the special designed case is an easily removable drive station fitted with three Swiss-made ironless core drive motors to provide independent operation for each of the three rotating cups.